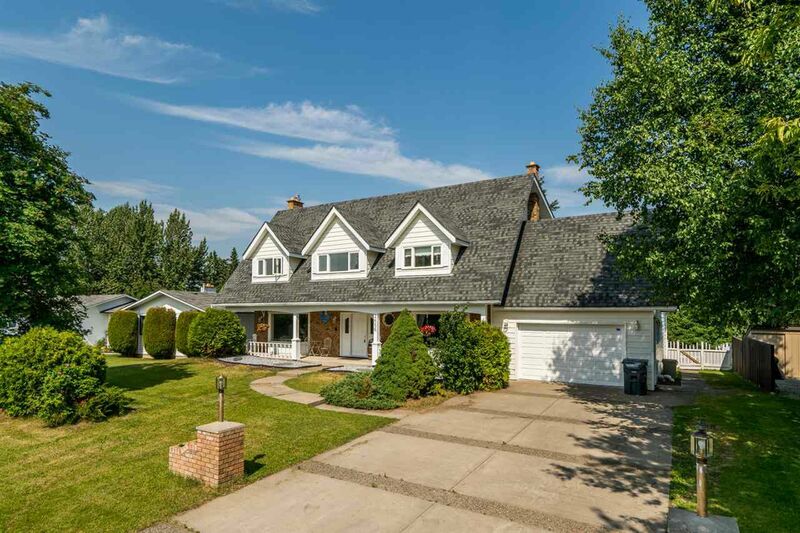 This simply stunning Cape Cod-style home flaunts a grand entryway and 4 enormous top floor bedrooms, is completely updated, and even backs onto a greenbelt. The main floor boasts an arched staircase over vaulted entry, a new kitchen with honey ash hardwood cupboards and granite prep island, beautiful formal and casual living and dining areas all with new neo-rustic flooring and lighting. The small bedroom upstairs is bigger than most masters and the master bedroom has a glorious 6pc ensuite with separate Jacuzzi tub and shower. Backyard is private and has new composite deck that is easy to maintain and great to entertain. This is truly a top-caliber home and will impress anyone looking for class and space.